The Executive Director/Publisher oversees, manages, and implements all facets of this 501(c)3 not-for-profit hyperlocal publishing company as it produces a monthly community newspaper and manages an online news presence for the community of Andover. The Executive Director/Publisher works alongside the Board of Directors and volunteers to implement strategic initiatives including providing direction to the staff, ensuring proper fiscal and operational management, and carrying out tasks required of the mission. Develop policies, processes, and structures for the organization, and oversee implementation of said policies for each publication issue. 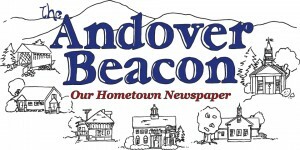 Create interesting, community-minded content along with volunteers within the local community to produce a monthly newspaper, The Andover Beacon. Conduct all phases of print production for The Andover Beacon each month; including planning, content, editorial, proofreading, layout, printing, and distribution. Manage advertising team to retain current advertisements and expand advertising base, including management of ad creative, ad space, and design. Run the organization’s Web presence at com and associated social media accounts. Manage the organization’s staff and volunteers; ensure that the organization attracts and retains the talent necessary to carry out successfully its programs and mission. Provide fiscal oversight for the organization’s investments, budgets, and financial reporting to IRS and Board of Directors. Work with the Board of Directors in its regular strategic planning process to assess organizational strengths, weaknesses, opportunities, and threats. Develop an annual budget and implementation plan with Board review and input. Direct priorities for program activities in a manner that is consistent with the strategic plan and with the intent of the Board. Advance the mission and image of the organization by serving as the chief representative of the organization to all stakeholders, including the Board, staff, volunteers, donors, the media, government, and the general public. Lead organization fundraising activities and develop new fundraising opportunities for the organization. Identify and develop new sources for revenue. Be the “face” of The Andover Beacon at community events, including Andover’s annual Fourth of July celebration and Town Meeting Day. Willingness to understand and work closely with a small town community and all its quirkiness. Please submit resumes by December 1, 2015 to Resumes@nullAndoverBeacon.com.